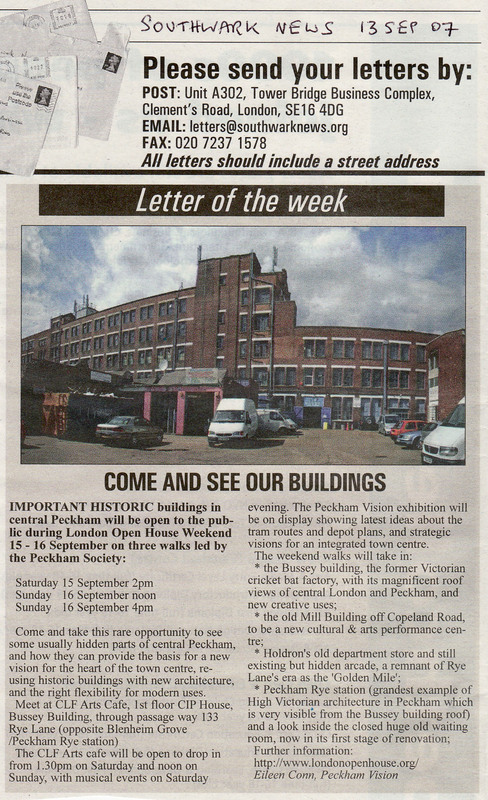 A letter from Peckham Vision was printed in the 13th September edition of Southwark News. c) the Community Council asks the Council’s Executive to get a comprehensive depot review, including a traffic impact assessment on Peckham. 1. 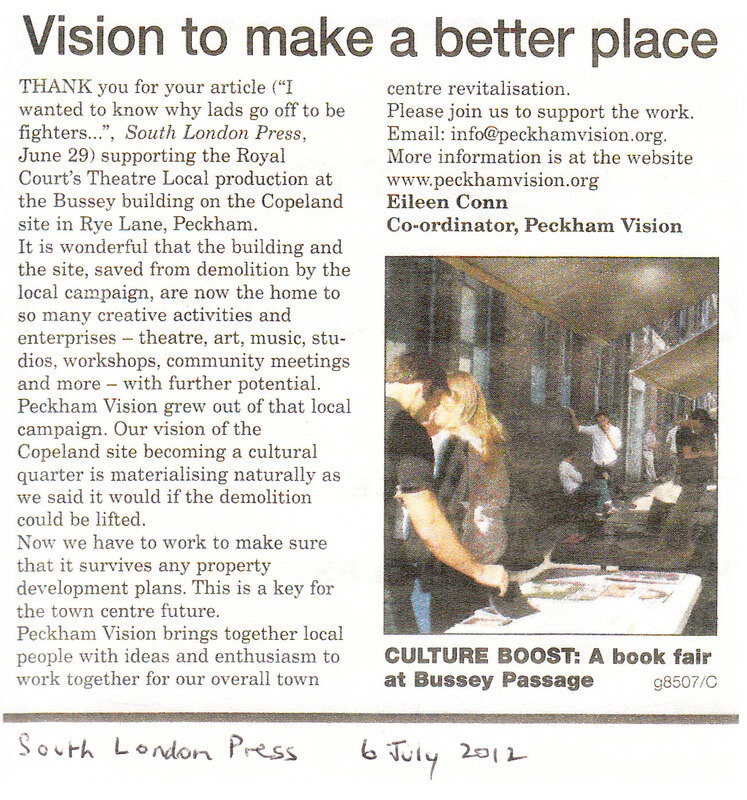 What is the right use of site 63P for the future of Peckham Town Centre? 2. What is the right place to locate the Tram Depot? These questions were asked against the background that TfL’s own report recently emphasised the need for “Ensuring that there is a sound, defensible, comprehensive basis to the selection depot sites..” The same report recommended that there should be a “Comprehensive site review, initially property based, exploring potential sites over entire Cross River Tram network area” and that there should be “Further investigation into existing use and users of sites explored..” The challenge now is for the Executive to do the right thing and use Southwark’s position on the Cross River Partnership to press for a proper comprehensive review of depot site options along the proposed tram route. 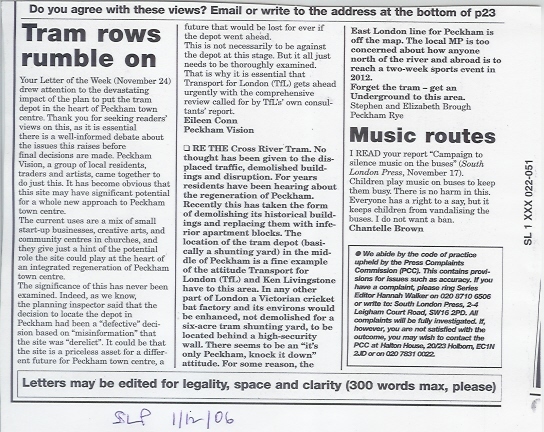 Leading up to the local elections this year, the main political parties made their positions on the proposed Peckham tram depot clear in the Southwark News of April 27th. A spokeswoman for the LibDem group said they backed the tram “However, our preference is for the depot to be sited in the Kings Cross redevelopment area, as it was originally planned. Ken Livingstone decided not to go ahead with the Kings Cross plan and now tells us that Peckham is the only option. We would urge him to reconsider other options” Councillor Peter John, Leader of the Labour Party said “I would like to see the tram serving Dulwich as well , but I am not advocating a depot in Dulwich – depots don’t have to be at the end of the line. I think it is absolutely crazy building a depot in Peckham”. 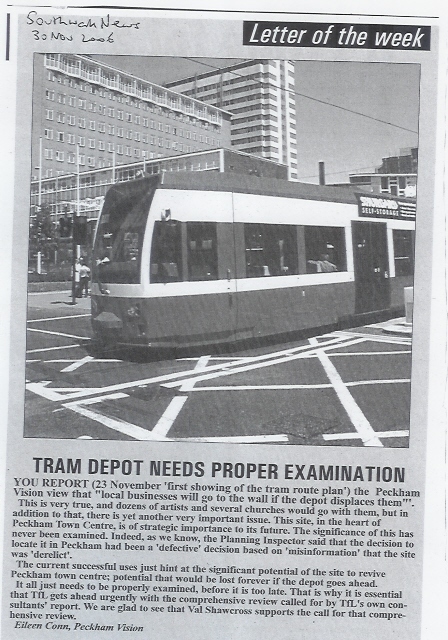 Labour Transport spokesman Councillor Barrie Hargrove also said “The Labour group fully back the tram…However the case for the Peckham site for the depot has not yet been proven. We need to make sure we look at a range of sites”. Kim Humphries, the Conservative leader echoed this by saying “I hope the planning authorities can come up with a suitable location for the trams that does not blight the area for residents so we will work with local residents to find a mutually agreeable solution. 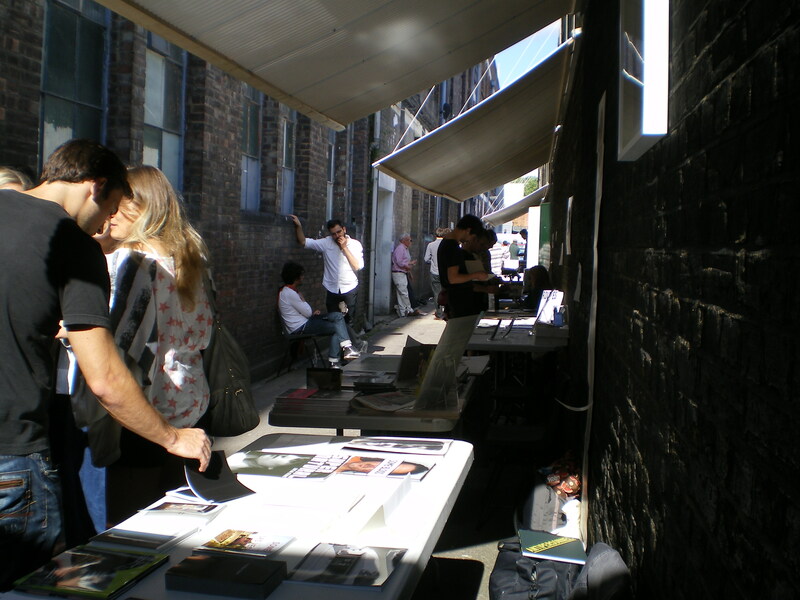 In the recent consultation on the Southwark Unitary development Plan modifications there have been many objections to locating part of the tram depot in Peckham. The question is whether Councillors will ‘walk the talk’� and listen to these local views. I just hope so in light of the statements made prior to the May elections. Peckham Business Park has been asking for a full and public review of all potential depot sites for the Cross River Tram Depot and its impact on Peckham. Without this we could see large areas of Peckham Town Centre knocked down to make way for the Depot. This does not need to be in Peckham Town centre for the tram to be feasible. In Croydon the depot is located outside the town centre. Before the tram is given the official go ahead a full pubic review must take place before regeneration in Peckham is stunted.